If there is one thing I don’t have time for it is being SICK. A mom spends her whole day taking care of everyone else, so when she is sick… everything falls apart. 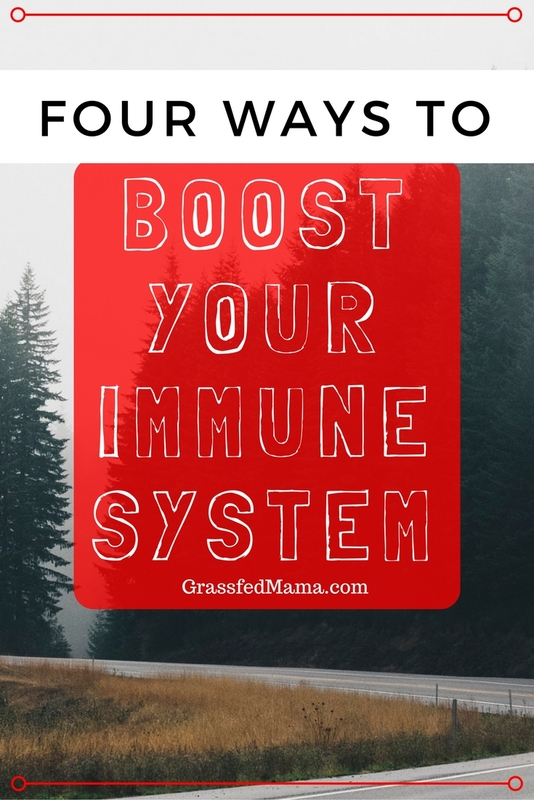 What if you could boost your immunity? If you could prevent yourself from getting sick, would it be worth it? How expensive are missed days at work or school? How expensive are the medications and/or doctor’s visits? How expensive is the loss of time and energy that could be used doing something you want to do? It seems like it would be pretty worth it if you could prevent yourself from getting sick. So where do we start? What are some natural ways to boost your immunity? Thankfully, our family is pretty healthy in general. We rarely get sick – and when we do, we are able to treat it at home for the most part. I think a big part of your immunity is your diet. You are what you eat, so don’t be fast, cheap, easy or fake! Focus your diet on wholefoods full of fruits and vegetables. If what you eat has a nutrition label, make sure you can read all the ingredients and know what they are. If you are like I was and having trouble getting in all the fruits and vegetables in that you know you need, check out what I take to get in 8 servings of fruits and vegetables each day. I know this is easier said than done – especially around the holidays with parties and special occasions where treats are on every table. Here are some of my Tips to reduce your Sugar. Eating too much sugar puts stress on your body and can lower your immunity, so be proactive and work on cutting out the sugar to help your body be the healthiest even in the colder months. If you are someone who craves sugar, read about what helped me reduce my sugar cravings. Regular, moderate activity is good for your heart, your mood, and if you are outside you’ll benefit from the Vitamin D! Only 20-30 minutes a day will give your body a good boost. Go on a nice walk or bike ride. We love going on family walks because it is a time to be together and show our kids too how to live a healthy lifestyle. Did you know that the foundation of your immune system is found in your gut? Through environmental factors, birth control, antibiotics… most of us do not have a healthy gut flora. How can we get the healthy bacteria back in our gut? You can supplement with food that has naturally occurring cultures like kefir, yogurt, fermented foods. I recommend a high quality probiotic that is easy to take. One with different strains and 10 billion live cultures. Adam and I started taking this probiotic about two months ago, and we could tell almost an instant change in our bowels (TMI lol). I was more regular and less bloated within 1-2 days of adding a high quality probiotic. I hope none of you guys have to deal with the ickies this season, and maybe these tips will help you stay healthy and strong through the rest of the year! What are your best tips for staying healthy this fall? P.S. If you want your house to smell like the holidays without burning candles or filling your house with toxins and chemicals, Check out my favorite essential oil blends. Plus, Defend is the protector, the fighter, the defensive lineman to keep you going! With a blend of rosemary, zesty lemon, and the rich spiciness of cinnamon and clove, get ready to gear up and defend!